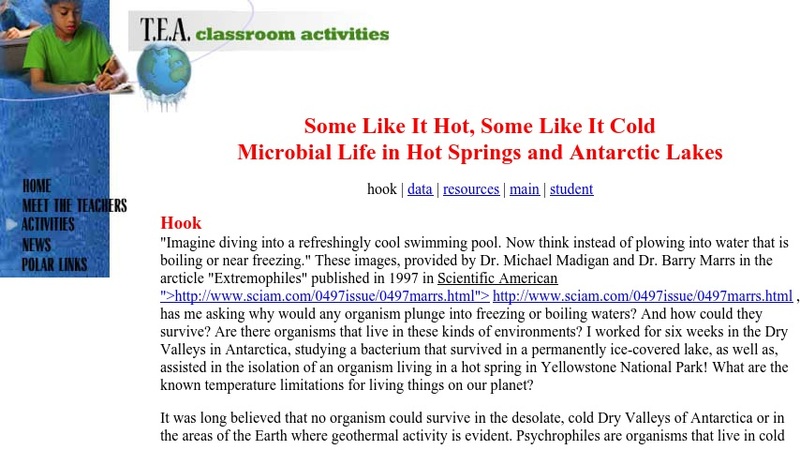 This website contains a lab activity, appropriate for use in grades 9-12 Biology I, that will help students understand the role of temperature in determining what kinds of organisms are found in extreme environments. Students will measure growth patterns for bacterial cultures and compare their results to growth data for organisms in the Dry Valleys of Antarctica. This site features the full lesson plan as well as links to the "hook", a future data table, resources, a student page, and a PDF version of this lesson.